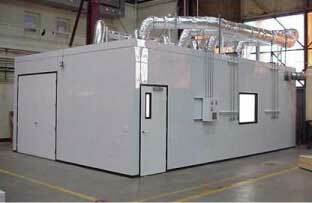 Looking for a cleanroom design company in Reading, Berks County, PA able to complete your project on budget and on time? Then look no further than DESCCO Design & Construction! DESCCO has been designing clean rooms for various types of manufacturers in the Mid-Atlantic Region and specifically the Reading and Berks County area for over 40 years. What Is Clean room, or Clean Room Design? Clean room design is the process of designing cleanroom that are free of dust, contaminants, and other airborne organisms for facilities such as scientific research labs, manufacturer of pharmaceutical items and microprocessors companies. A cleanroom or clean room is a facility ordinarily utilized as a part of specialized industrial production or scientific research, including the manufacture of pharmaceutical items and microprocessors. Cleanrooms are designed to maintain extremely low levels of particulates, such as dust, airborne organisms, or vaporized particles. Cleanrooms typically have an cleanliness level quanitified by the number of particles per cubic meter at a predetermined molecule measure. The ambient outdoor air in a typical urban area contains 35,000,000 particles for each cubic meter in the size range 0.5 μm and bigger in measurement, equivalent to an ISO 9 cleanroom, while by comparison an ISO 1 cleanroom permits no particles in that size range and just 12 particles for each cubic meter of 0.3 μm and smaller. Looking for a cleanroom design company in Reading, Berks County PA that can complete your project on time and on budget? DESCCO‘s clean room design team have years of experience in designing and constructing clean rooms for a wide range of industries throughout Reading, and Berks County area. Our professionals have the knowledge and the experience to bring your clean room design to completion in less time than it would take other clean room design companies in Reading Berks County to complete.